Looking for an adjustable, sturdy table base for your Magician’s Table? AmazeKids and Vanishing Inc. have the right solution. 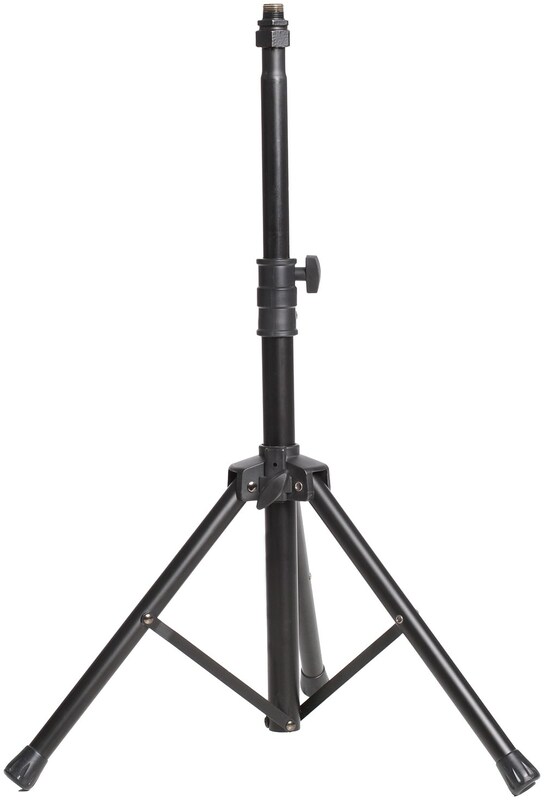 In partnership with Showtime Magic Products, we have an extremely stable, three-legged sturdy base with a large spread that will support any prop or tabletop with a 1/2" flange. When collapsed, it measures 26" x 4" x 4". Its footprint is 24” x 24” x 24”. It’s finished in black, for a truly professional look that doesn’t reflect the stage lights back into the audience’s eyes. It’s equipped with non-marring rubber tips to protect your clients’ floors. The threaded end is permanently attached using special equipment at the factory. This means it it will never come undone like the many lower-quality table bases that are assembled with silicone and screws. It’s a perfect fit for the Hank Moorehouse Cube Table. Got a prop or table with a ½” flange? Get the Ultimate Table Base and you’ll be getting the “technical support” you need to make you look like a pro.